Build a strong brand while attracting top talent, reducing HR costs and increasing the loyalty of employees and customers. Strong thesis: strong brands are built from the employees out. Use some of the paradigms directly in your business or consulting. Classic branding principles applied to recruiting and retention. Compelling push of the thesis / theory. Uncompelling lessons on the tools of the trade. Hard initiative for anybody except consultants and senior executives. Jody has worked with many companies, but we do not hear much of those stories. 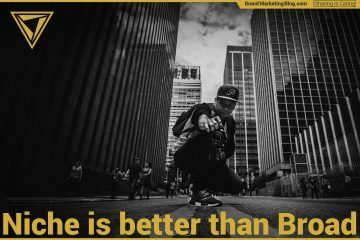 What if I told you everything you thought branding was is actually just a facade, an outer shell concealing where true brands are built? What if I told you that the things you probably work on every day, things I work on every day, were just an illusion? The red pill in this analogy is the realization that brands are built out from employees who buy in. We intrinsically know that great brands are movements and that the champions of those movements are the employees. But we spend nearly none of our time communicating with those employees; all our time and dollars are spent on delivering our brands to our customers. But if our employees have bought into the mission, they can effectively communicate the brand to customers on a personal basis. Moreover, mission-driven employees become the gravity attracting fresh and greater talent to a brand, and converting them to a mission. 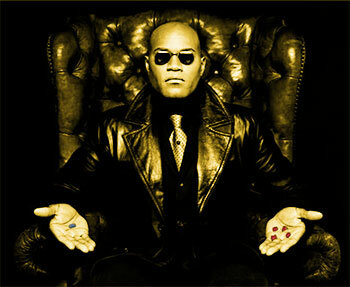 The red pill […] is the realization that brands are built out from employees who buy in. 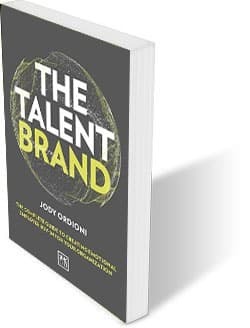 The author of The Talent Brand (Amazon book link, website link), Jody Ordioni is a New York-based consultant and the founder of Brandemix (brand + endemics). The book clearly draws upon her years of consulting experience clarifying brands with employees and potential employees for her client companies. We interviewed Jody Ordioni earlier. Jody is right. There are strong reasons to invest in a talent brand, and this book convinces you of that and gives you the tools to make it happen. The thesis section is easy to read, but the tools section is somehow both exhausting and not full enough. 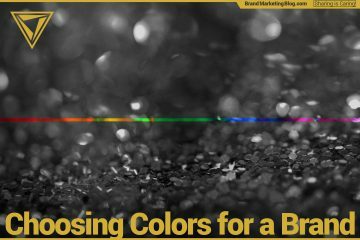 The book goes into job listings, career sites, social media, etc., and there is enough information to make you aware of each one, and it’s importance, and what questions effective communications answer. But how to get from here to there is up to the reader. Personal stories or good/bad examples would have made these sections more fun to read. This book is great for a consultant getting an outside, fifty thousand foot view of a large company. This book changed my perspective and brought several paradigms that I introduced into my own “Golden Cookbook” that I will use in my own consulting. For example, her questions in “Building a Research Plan” cut directly to who you need to talk to in an organization to find the information the clients are missing to understand their current talent brand. This book is excellent for a consultant getting an outside, fifty thousand foot view of a large company. But it is hard to see how an employee or even and human resource manager could make such a massive initiative happen from the inside. Jody even mentions how some of the interviews can be impossible for a human resources employee to do and get honest feedback. Most of the business books on the “new” shelf are written nearly exclusively for silicon-valley startups. Not The Talent Brand. I would have liked to know how a company starts a strong talent brand from the start, and how to maintain it through growth. This book is squarely for large employers. Hopefully, entrepreneurs and in-trepreneurs can use the first principles in the early part of the book and find their own way. There is also a lack of detailed case studies. Clearly, from the content, Jody Ordioni has worked with many clients practicing what she preaches, but we do not hear of any company’s before and after stories or struggles. There are some references to her clients, but they are limited to one or two lines max. So it is the “best of times and the worst of times” situation. I can’t overstate the importance of the mission of this book, and how much I buy in. But there are certainly holes in this book. 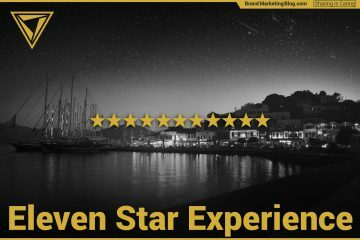 I can recommend The Talent Brand for the mission of getting employees engaged in the brand they are building. Buy it, read it, and buy into the importance of the talent brand to your organization. Then talk to others working on their own organization’s talent brand; hear where they are struggling, share where you are struggling and be part of the movement to take branding out of just the realm of customers and investors, and bring it to employees and partners. You might just find tomorrows talented people working beside you. Full disclosure. This book contains Amazon affiliate links. If you click one of these links and buy a book, Colin Finkle receives a small fee. The fee is out of Amazon’s pocket and is at no cost to you.